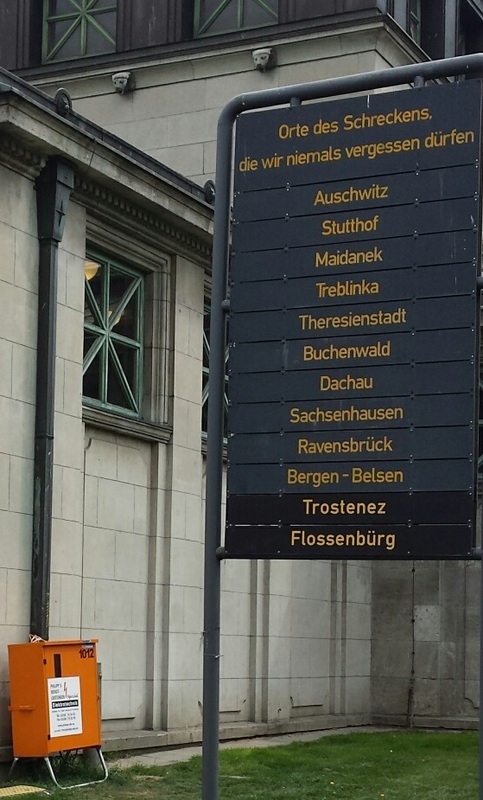 This large sign greets passers-by as they walk from the KaDeWe, Berlin’s top department store, into the Wittenberg Platz U-Bahn. That’s more or less equivalent to outside Selfridges in London or Galeries Lafayette in Paris. The words at the top say ‘Places of terror that we must never forget’. Berlin confronts its history boldly and openly, from the memorials to murdered Jews and Gypsies, to the carefully preserved sites of Stasi terror during the division of Germany.